Grace Roots Blog: Through faith we establish the law? Through faith we establish the law? This is one of those solitary verses that has been ripped out of context and has thereby tripped up many people for a long, long time. Is there anything wrong with this verse? Of course not. The Apostle Paul is telling the truth here! However, this verse, Rom 3:31, was not written all alone in a void. By the time we get to this verse, Paul has already spent a large part of three chapters explaining a very important contrast. "For in it [the gospel] the righteousness of God is revealed from faith to faith; as it is written, 'the just shall live by faith.'" (Rom 1:17) "But now the righteousness of God apart from the law is revealed, being witnessed by the law and the prophets, even the righteousness of God, through faith in Jesus Christ, to all and on all who believe..." (Rom 3:21-22). Notice the contrast: "faith" and "apart from the law." This is huge when it comes to understanding Romans 3:31. Paul's big point is that the gospel is all about God's righteousness that we've received as a free gift. This is the "good news." This is the gospel - God's righteousness, received by faith, apart from the law. In all the verses in between the ones I mentioned above, from Rom 1:18 to Rom 3:20, Paul writes about the "bad news." 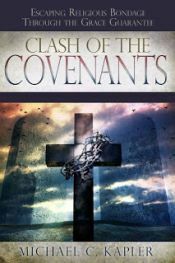 "The wrath of God is revealed from heaven against all the ungodliness and unrighteousness of men." He lists 20-30 things that represent man's unrighteousness. In Chapter 2 he then shows the Jews that just because they have the law, that doesn't make them righteous, because it's not the hearers of the law who are justified in the sight of God, but the doers of the law. He's pointing out to the hearers of the law (the Jews) that just because they have the law, they're not justified unless they do the law. And he tells them that Gentiles can be justified if they show the work of the law written on their hearts - even though they had never even heard the law! However, that's not the end of his point. As we move into Chapter 3, we see that "we have previously charged both Jews and Gentiles alike that they are all under sin." The reality is that neither Jews (who have the law) nor Gentiles (who don't have the law) are actually doers of the law! (Otherwise, according to Chapter 2, either of them could be justified by the law). But no, "there is no one righteous, not even one... There is no one who seeks after God... There is no one who does good, not even one..." (Rom 3:10-12). Romans 3:19 says that the purpose of the law is to stop mouths and make people guilty. That's all that the law can do, and therefore no flesh can be justified by the deeds of the law. "But now," Paul says, "the righteousness of God apart from the law is revealed." (See, we're not "against" the law. Rather we believe in life and righteousness in Christ apart from the law). This righteousness (God's very righteousness) is a gift we receive by grace through faith. The huge contrast in all of this is between a righteousness that is obtained by doing the law and a righteousness that is received by grace through faith, apart from the law. That's why all that Paul says leading up to Rom 3:31 is essential for understanding that verse. The reason that through faith the law is "established" (or "upheld") is because when an unbeliever turns to faith it means that they have realized the full weight of the law, and that no one can actually keep it, and that all it does is stops mouths and makes people guilty, and can therefore justify no one. In the entire context of Romans 1 through 3 and beyond, Paul isn't talking at all about law in the life of believers. He's talking about law in the lives of unbelievers, and how the ungodly and unrighteous have no hope in the good, just and holy law and must instead turn to the free gift of God's righteousness received by faith. The word "establish" here means "to uphold or sustain the authority of something." Through faith, we don't make void the law. Rather, we uphold and sustain the true authority and purpose of the law. What is the purpose of the law? Again, according to Romans 3:19 its purpose is to stop mouths and make people guilty. In 1 Timothy 1:9 Paul said that the lawful use of the law is not for righteous people, but for the ungodly and for sinners. Galatians 3:19 says that the law was added "because of transgressions, till the Seed (Jesus) should come, and Galatians 3:24-25 says the law was a tutor to lead to Christ so that a person would be justified by faith. When a person turned to faith, the law's job was then done. We see this great contrast of faith and law all throughout Paul's writings! By faith, we truly do uphold the reason the law was given. It was given to lead unbelievers (and specifically unbelieving Jews, not Gentiles - but that's for another day) to faith in Christ. That's it. The law's job is then done. Again, none of Paul's "law" talk in Romans has to do with the law being established or used in the lives of believers. It all has to do with leading unbelievers to faith, apart from the law. The role of law was to condemn sinful acts. The intent of the law giver was to keep Israelites from committing unrighteous and criminal acts -- that is also the role of secular law. Would you agree also that the requirement of the Law perfection even though it could not give it?. 2 Teach the Israelites not to do wrong until they could "come of age". Like we do with children, right? 3. Bring them to the realization that perfection could not be obtained through the Law? Hi Brian, I agree with #3 above, but not 1 and 2. The role of the law was indeed to condemn sinful acts, but it could do nothing to curtail sinful acts. Even under the law, "there is no one righteous, not even one... There is no one who seeks after God... There is no one who does good, not even one." The law holds no power to make a bad person good, nor to change a person's bad behavior to good. In fact, not only could the law not curtail sin, but "the law is the strength of sin." (1 Cor 15:56). 1 Tim 1:8-10 (the lawful use of the law) doesn't say that the law leads to a curtailing of sin. If we put Paul's words here alongside everything else he says about the law, we see that the law is a tutor to lead people to Christ. (Gal 3:24). Not to lead people to better behavior, but to Christ. Paul goes on: "Therefore the law was our tutor to lead us to Christ, that we might be justified by faith." That was the purpose of the law. To lead the lawless and subordinate, the ungodly and sinners, the unholy and profane... etc, etc... to Christ, that they might be justified by faith. So I do agree that the requirement of the law was perfection, and that it had absolutely no power to provide it! :) Indeed, perfection could not be obtained through the law.